Ever since the early days of cinema, when the mysterious Maria appeared in Fritz Lang’s Metropolis, robots have been an important part of the movie world. With a certain spherical droid recently captivating audiences across the globe, Mat Corne was moved to produce our list of the ten* most lovable robots in movie history. * There are actually more than ten robots in this list! This seemingly innocuous robot first appeared in the Jawa’s Sandcrawler scene, and popped up numerous times during the first Star Wars film. 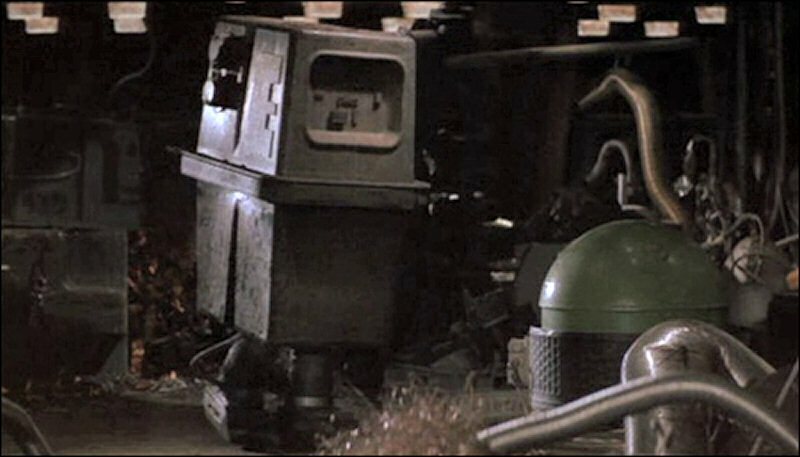 Essentially a large battery on legs, the Power Droid was intended to be an background character used to add depth to the Star Wars world, but in the early 90’s it was given a name by some fans on an internet newsgroup – Gonk, based on the comical noise it made in that first scene. This name caught on so quickly that the robot is now referred to in Star Wars canon as a GNK Droid, and many fan sites have popped up over the years surrounding the Cult of Gonk and whether the character is good or evil. Gonk has appeared in most of the Star Wars films to date, including The Force Awakens and has also proved useful in several games based on the franchise, proving that even the most unassuming character in the Star Wars universe can become a fan favourite. 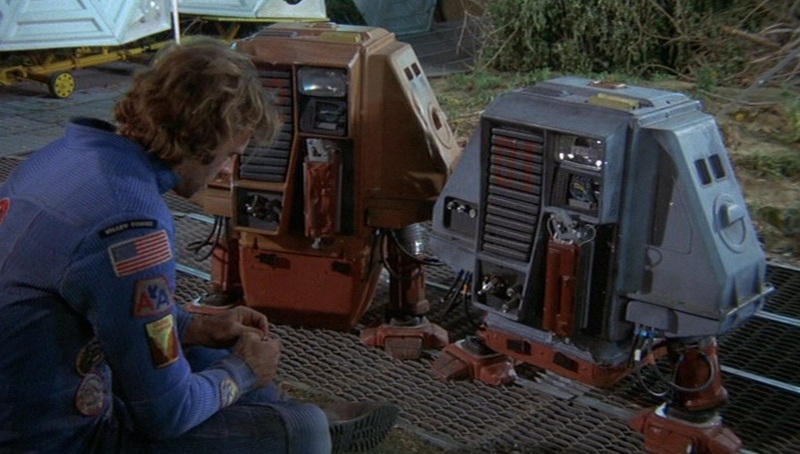 When Bruce Dern’s tree-hugging astronaut kills his fellow crew members and flies off with the Earth’s remaining forests, his only companions are three maintenance drones that are reprogrammed and named after the famous Disney ducks. While Louie is lost early in the film, the two remaining robots take a prominent role in the film and are involved in most of the memorable scenes. Standout moments include the comical poker game and the most emotional scene of the film, when Huey is damaged and Dewey won’t leave his side until he’s repaired. Notable for being the first non-humanoid robots to be portrayed by humans, they were controlled by amputees who used their arms to operate the legs of the drones and give them their endearing waddle. Although they don’t speak, these comical droids have bags of personality and loyalty to one another, and are the brightest part of an otherwise rather dull movie. Neill Blomkamp’s film may feature an army of efficient police robots tackling rampant crime in South Africa, but there is one unexpectedly joyful soul to be found. A fatally damaged cop-droid reborn with an advanced Artificial Intelligence, CHAPPiE’s formative days are spent as part of a bizarre family unit consisting of his scientist creator and a crazy street gang. While the former wishes to teach him logic and morality, it’s the latter that have the biggest impact, as they educate him in the ways of the street with guns, foul language and carjacking all playing a part in his upbringing. 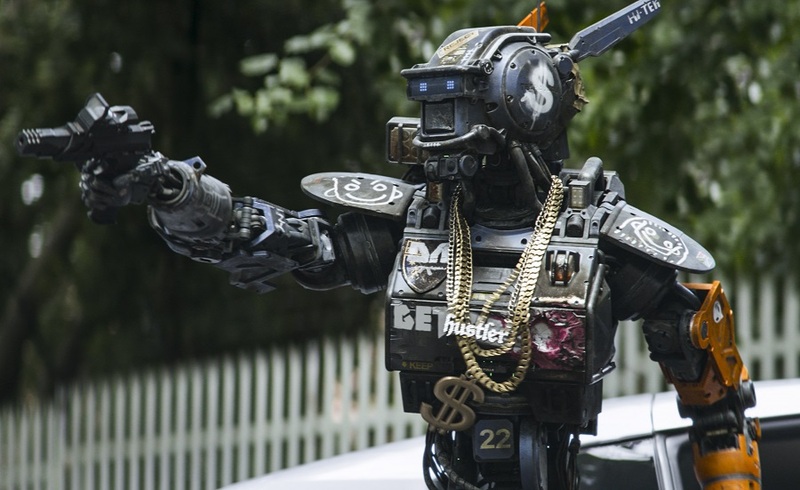 Brought to life by Sharlto Copley, CHAPPiE’s childlike innocence exposed to a world rife with drugs and violence turns him into a quirky character that you can’t help but smile at, making him the most unconventionally lovable robot in this list. Head over to Page 2 for more of our favourite movie robots! Great list! I would have put Baymax at the top. Apparently his movements were modelled on the cutest thing the creators could think of – a toddler who has recently learnt to walk.